Sybil MacBeth is a doodler, dancer, and former community college math professor. She is the 2010-2011 Varnell Artist-in-Residence for Memphis Theological Seminary. During 2009 Sybil wrote a daily Prayer Blog for Rick Warren's website, the Purpose Driven Connection. 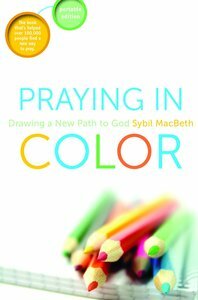 Her new blog, "The Praying in Color Blog" includes meditations, reflections and ideas about Praying in Color.